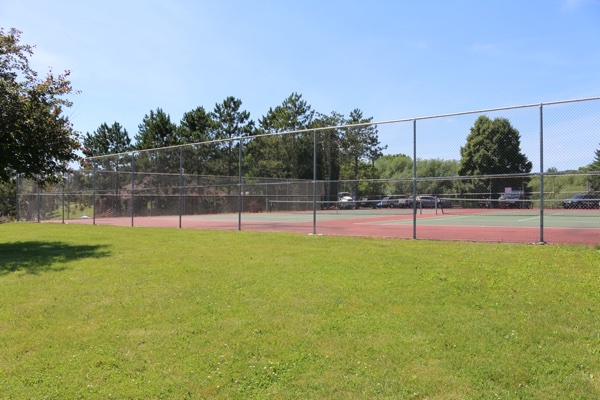 Two tennis courts are east of the clubhouse. An annual or per court hour activity fee is charged for their use. Court times are assigned during Association office hours. Register at the clubhouse office.